There are nerves present in the spinal cord that send messages or signals between your body and brain. Compression of spinal cord results due to pressure placed by a mass such as a bone fragment or a tumor on the spinal cord. Compression can occur at any place along the cord from neck to lower back. The compression may occur suddenly, resulting in symptoms within minutes to couple of hours or days, or it may occur gradually resulting in symptoms, which worsen over several weeks or even months. Connective tissue: Due to aging, the connective tissue lining the spinal canal hardens and enlarges, resulting in its narrowing and compression of spinal cord. Spinal canal refers to the passage that is present in the center portion of the human spine and it contains spinal cord. Bone: Spinal cord compression may occur in case the vertebrae are fractured, grow abnormally (such as in cases of cervical spondylosis) or are dislocated. Fracture of vertebrae which are weakened due to osteoporosis or cancer, may occur due to slight or no injury. Hematoma (accumulation of blood): There may be accumulation of blood around or in spinal cord. Injury is among the most common causes of spinal hematoma; however, it may occur due to other conditions as well including tumors, arteriovenous malformations (abnormal connections form between different blood vessels), bleeding disorders, and use of thrombolytic drugs (that break blood clots) or anticoagulants (that interfere with clotting of blood). Tumors: Another of the common causes of spinal cord compression is cancer metastasized to space surrounding spinal cord or to spine. A rare cause is a tumor present in the spinal cord. It may be or may not be cancerous. Abscess: Accumulation of pus may occur outside spinal cord or in less common cases in spinal cord, causing its compression. A herniated or ruptured disk: Spinal nerve roots and occasionally spinal cord may be compressed by a herniated disk. However, bones that are weakened gradually such as by osteoporosis or cancer may fracture suddenly and cause sudden compression. Gradual compression may take days to years to develop. Causes vary and depend on the time it takes for the compression to occur. After discussing causes of spinal cord compression, let’s discuss its symptoms and diagnosis. Symptoms may develop slowly or quickly depending on what the cause is. Immediate symptoms may occur due to injury. Infections or tumors may result in symptoms that occur over days to weeks. Symptoms may develop over years due to degeneration of the spine. Compression of nerves present in the lumbar area results in severe symptoms referred to as cauda equina syndrome. X-rays of spine. Bone growths referred to as spurs which push the spinal nerves may appear on X-ray. X-ray may also show if your spine is abnormally aligned. MRI scan or CT may be done to get a more detailed appearance of spinal cord and its surrounding structures. Other tests, which may be conducted, include myelogram, bone scan, and EMG or electromyography. You already know causes of spinal cord compression, symptoms and diagnosis, how about its treatment? Different therapists who may treat compression of your spinal cord include bone surgeons, arthritis specialists, physical therapists and nerve specialists. Treatment may include medicine, injections, surgery and physical therapy. Except in emergencies such as a fractured vertebra or cauda equina syndrome, surgery is generally considered as a last resort. Medicines include NSAIDs which relieve swelling and pain, and injections of steroids that decrease swelling. Physical therapy includes various exercises for strengthening the muscles of your back, leg and abdomen. You may also find cervical collar or braces that provide support to your back helpful. 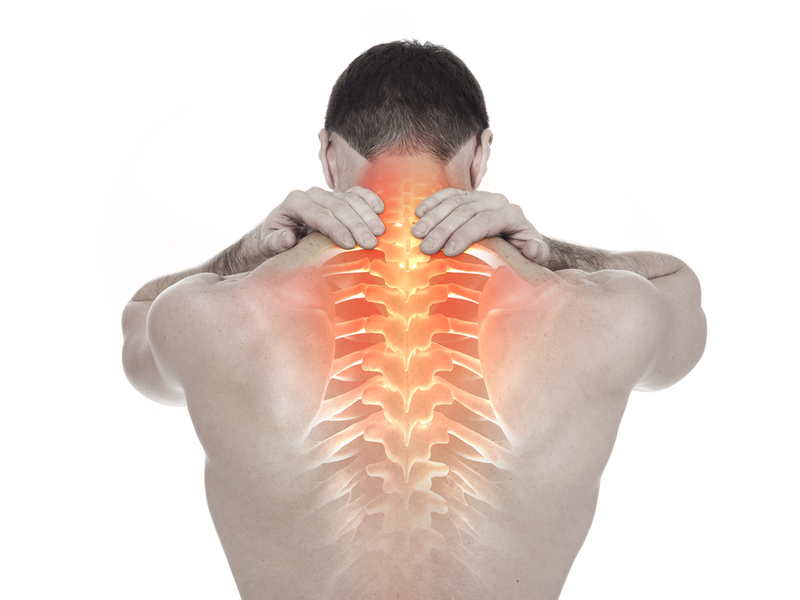 Surgical treatment includes widening the gap between vertebrae and removal of bone spurs. Other surgical procedures may also be performed to repair broken vertebrae or take pressure off the spine. Chiropractic care and acupuncture may also provide help to some people. You should gain maximum knowledge about your problem, work very closely with the physicians treating you and become an active part of your treatment. Maintain the health of your back by keeping your weight healthy, practicing body mechanics that are good and exercising regularly. You can get help by using home remedies such as a heating pad, ice bag, hot shower or a massage. Ask your physician if they recommend any nutritional supplements and also discuss any alternative medicines or treatments that you may want to try.